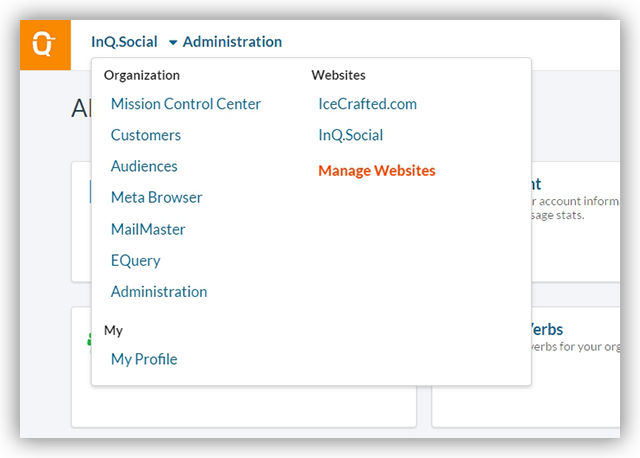 The Flow menu allows InQ.Social account holders to access platform applications and services. It dynamically adjusts to each customer, bringing the most used options to the top. The Flow menu is accessible by clicking the company name on the top navigation bar, within your InQ.Social account.